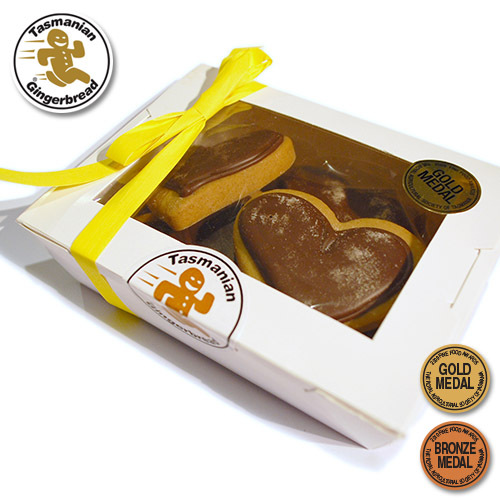 Chocolate Hearts - in windowed gift box. Winner - Royal Agricultural Society of Tasmania Fine Food Awards, Gold 2009, Bronze 2011. Original gingerbread with milk chocolate on top, these should melt anyone's heart. Butter, Vinegar, Baking Soda, Ginger, Cinnamon, Milk Chocolate.